John MacArthur opened the conference with broad statements about the purpose of the conference and what he perceives as the main challenges of the charismatic movement. Joni Eareckson Tada offered her unique testimony and this was followed by R.C. Sproul’s theological perspective. 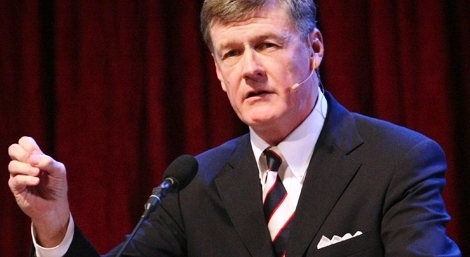 And now added to the mix is Steve Lawson and his perspective from church history. With the recent resurgence of Calvinism there has been a strange merging of historic, biblical Calvinism with charismatic experiences and worship styles. It has pulled in an entire generation of young, restless, reformed people who believe in miracles, healings, words of knowledge, prophecies, tongues, and so on. They see no reason in the New Testament for why these gifts of the Spirit have ended since the first century. 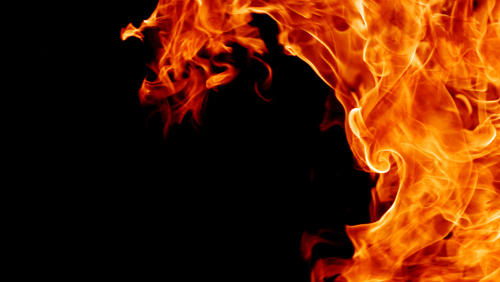 This is a continuation of my Challies Chronicles series, an analysis of Pastor John MacArthur’s Strange Fire conference as “live blogged” by Pastor Challies. I guess I should just resign myself to the fact that I’m not going to know anything about the presenters at this conference, including Steve Lawson. I guess I’m just out of the loop as far as who is a popular Fundamentalist Pastor in modern Christianity. Anyway, church history is a weak area of mine, so I can’t say this presentation was a complete waste. I learned a few things and even agreed with some of what Lawson said. This merging has gone virtually unaddressed within the reformed community. I believe there is no one better to address these charismatic Calvinists than Calvin himself. Calvin faced a charismatic crisis of his own in his own day. I want to look at how he addressed them. As the leading reformer in that day, whatever faced the church faced John Calvin. He had the dominant voice and people looked to him to address issues. I have real issues with Calvin (Calvinism is resurging? Oy!) and suspect there is a significant “dark side” to the Reformation, even though there were also obvious benefits (something I’ll have to explore in more detail at a later time). I didn’t even know you could be a “charismatic Calvinist” (or that you’d want to be), but as I said, church history isn’t something I know much (or anything) about. Then there were the Libertines who were one of the subgroups under the Anabaptists. They were antinomians. They abused Christian liberty and proved themselves to be, most likely, unconverted. Calvin called them a sect one hundred times more dangerous than the Roman Catholic church itself. They were lead by fleshly impulses and believed the Holy Spirit was adding new revelation to the Bible. They set aside the Scripture and wanted to follow the inner impulses that they thought were the Spirit. They lived in open licentiousness. They wanted an easy moral path without having to fight sin or temptation. These were the things Calvin faced in his day. So the charismatic chaos we see now, in our day, is nothing new. It was prevalent in Calvin’s day, as it has been in other eras as well. So Calvin was not silent about it. Here’s the part I agree with (odd, that I should agree with Calvin on anything). I don’t think you can choose to set aside the Bible and pretend that all your emotional experiences are the Holy Spirit. I certainly don’t think your emotions should tell you how to live and what is Holy, especially in contradiction to what we read in scripture. I don’t think it’s just the Libertines of Calvin’s day who live like this, and I don’t think it has to involve “dramatic” behaviors we see in Charismatic churches today. Plenty of liberal denominations are following the emotional leading of what we call “progressive” or “politically correct” in telling themselves what is right and wrong. If your church looks, acts, and believes exactly the way we’re being told to look, act, and believe by CNN, MSNBC, and the New York Times, then you have no doubt set the Bible aside and are listening to another “spirit,” the “spirit” of the popular, mainstream news media. In Calvin’s commentary on Matthew 10:1, he states that the office of apostleship was a temporary office. The apostles were the foundation of the church, and you only lay a foundation only once. They were given miracles to authenticate their authority as messengers of the revelation of God in Christ. I’ll agree that, as far as I know, miracles from God are pretty rare in our day and age relative to what we see in the New Testament, but I’m not willing to draw a hard and fast line and say they’re impossible, either. Nor do miracles only have to exist to validate the original apostles. After all, there are miracles all through the Tanakh (Old Testament) and ultimately, when you take their “purpose” down to its core, all manifestations of the power of God in our world are for the glory of God. You don’t have to write a bunch of rules around them and try to put God in a box. In this case, Calvin (and probably Lawson) is drawing a conclusion he can’t possibly prove. 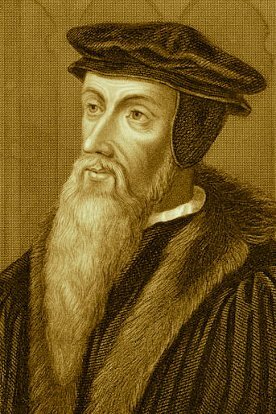 I don’t think we should fall into the trap of believing the Calvin was always right just because he was Calvin or because we (or some people) hold the Reformation in such high esteem. I think Calvin, at least from what I’m reading here, didn’t have a particularly “Judaic” view of the Bible and thus probably missed a lot of meaning and depth in the Gospel message because he didn’t try to tune in to the intent of the original writers of the New Testament or their first century Jewish and Greek audiences. I can agree that Word and Spirit must be in agreement, but I believe that the Tanakh and Apostolic Scriptures must also be in agreement without a lot of theological gymnastics being necessary. I’m not sure Calvin would agree with me on that. A charismatic Calvinist is, to Calvin, an oxymoron. It can’t exist. I almost don’t care about this statement (almost, but not quite), because I think that all manifestations of the church in our era or any other (apart from the first century Jewish stream of “the Way”) have “missed the mark” in some manner or fashion. 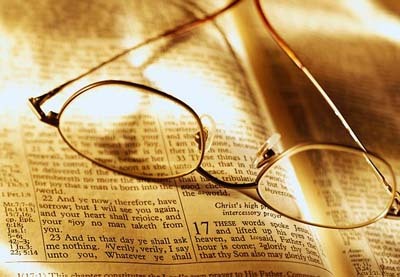 We have the Bible, the record of God’s interaction with human beings, primarily Jewish human beings. Then we have all of the systems we’ve built around that document, and we use those systems to tell us what the Bible means. Those systems aren’t perfect and objective because people aren’t perfect and objective. The numerous variations of Christianity aren’t perfect. Only God is perfect. I don’t think we always understand God. We are all aiming at achieving high fidelity to the original and probably aren’t doing a very good job at it. I agree with some of the things Lawson had to say, mirroring some of the things Calvin had to say. You can’t pretend your emotions are really the Holy Spirit and then do anything you want, especially in contradiction to the Bible. But let’s be clear, no one of us and no one religious group has the inside track on exactly what the Bible is saying all of the time. So far, I get the feeling that “Strange Fire” is trying to say that Pentecostalism is wrong and Fundamentalism is right. However, even if MacArthur and Company can reasonably convince me that Pentecostalism is essentially flawed and non-Biblical, that does not automatically grant Fundamentalism a rating of being perfect and always correct. On a math test, two students can get two different answers for the same problem but just because one student is wrong, doesn’t mean the other student is right. They could both be wrong, but in different ways. That’s why we always study. That’s why we’re still trying to learn. That’s why we struggle. That’s why we try to understand but in the end, we keep “understanding” differently from one another. One question remains from Lawson’s presentation. Is he making a direct comparison between the Libertines of Calvin’s day and the modern Pentecostal/Charismatic movement? If he is, then he’s saying Pentecostals are letting their emotions not only re-write the Bible, but that they’re disregarding the Bible in favor of their emotive states. I suppose there is a good reason basic logic isn’t taught in seminaries or churches. Not that (Greek influenced) logic determines truth, but it enables us to determine if an argument is flawed. Next time you hear one of these polemics, play a game where you compete with a friend to see who can find the most logical fallacies. So you have straw manning and the false dichotomy here. If they want to handle things the way their idol Calvin did, they would need to kill people, and perhaps the only reason they no longer do that is because they can’t right now. Brown uses false dichotomy and begging the question often too. Whatever crazy stuff they do, the last time I looked Pentecostals hadn’t killed anyone. Okay, if you want to count the WoFers who refuse medical care because they confess they are healed, I’ll give them that one. Thanks for this James, I’ve recently saw the above statement being made almost word for word on a “cessationist” blog. I didn’t realise that the commenter was repeating an idea from Calvin’s teachings. Yet another case of someone’s theology being based on a commentary instead of on Scripture itself. Is this any different to cessationists like MacArthur relying on experience (or lack of it) and Calvin’s teachings to determine that miracles and the Spiritual gifts have been withdrawn? I am yet to be shown any SCRIPTURAL evidence to support those cessationist claims. Hopefully, what I’m communicating here is that neither end of this spectrum spanning Charismatics and Reformed Theology/Fundamentalism has the corner market on fact or truth. Everyone has their biases that, strictly speaking, can’t be linked with a rock-hard foundation in scripture. Both sides of the street are running on as much tradition in how they interpret scripture as scripture itself. My contribution to a heated discussion of this issue (and I also don’t walk on either side of the street) was: I have a choice between mean-spirited and arrogant vs. crazy and ignorant; how about I choose neither and keep my distance from both? Who is kind, humble, sober-minded and wise? I’ve been in discussion on another blog (one promoting cessationism) a discussion I have chosen now to leave behind after the blog owner called me “thick-skulled” and “an idiot”. @James — Maybe their response constitutes their own version of “tough love”? Perhaps it was the same blog? The owner who calls himself, “five-pointer,” said he did me a favor by not posting one of my comments, although, to be fair, he posted all the others. He claimed that he, “saved me from cruel mockery.” So, I replied, are you saying your theological camp is comprised of those who are cruel and mocking? The Tada thing is straw manning and appeal to pathos. Nowhere in scripture are we told that everyone is healed or that their lack of healing is their own fault. But if Brown et al would clean their own house more than superficially, the camp of MacArthur wouldn’t have this fuel. I am a little confused. Do they believe one should not pray for anything miraculous, or that we should pray but not expect an answer? Being called “thick skulled” and an “idiot” isn’t what I’d consider love, tough or otherwise, PL. Well, I wasn’t suggesting I would recommend it, myself. That’s tame in comparison to some of the things Calvin and Luther said, which ironically wouldn’t be acceptable language in mixed company or on a religious blog. And they seem to twist the scripture, “All who choose to live godly in Messiah will be persecuted,” to, “All who desire to live as good Calvinists will be the persecutors. Attempting to remove foot from mouth I have to confess I have found what I said above about the cessationist blog is wrong. I misread the comments directed at me. I apologise for the false impression that I ‘ve given because of my careless reading of that person’s comments. Thanks for clearing that up. Glad they didn’t go off the deep end and rant at you. I also appreciate your honesty.